Friday 26th from 6 pm until midnight and Saturday February 27 from noon until midnight, the fourth Micro Brew Fest (MBF) will take place in the City Market in the City of Knowledge, Clayton. The event, that drew more than 5000 people last year to Panama City is expected to bring about 7000 people over the two days of festivities. The festival will offer guests the opportunity to explore 30 beer stands among which will be 12 national exhibitors. 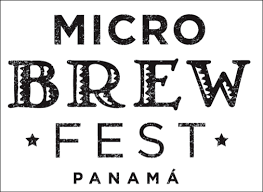 This year MBF will also feature seven craft beer distributors including Brew Stop, Panhellenic, LB Bieren, ITC, Beyond San Juan Brews and Ports and Domestic craft beer produces including Istmo Brew Pub, The Golden Frog, Witch House, Central Brewery, Quintessence, Dogocri, Boquete Brewing, three cats, Republican, Bocas and Draft Brew Masters. Tickets are available at Novey, Felipe Motta and Pana Tickets for $ 13 in pre-sale and can be purchased at the event for $20. All tickets includes the “official festival glass”, a 7.5 ounces glass branded for the festival. Beer will be available for purchase at the cost of $ 3.00 to $ 4.00 during the festival. To get in the sprit of drinking good beer read Jeff Campagna’s Guide to Better Beer, an informative review of six artisanal beers and where to find them in Coronado!